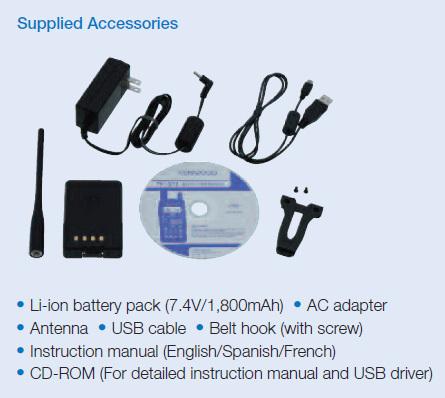 The TH-D72A comes with: antenna, battery, charger, USB interface cable, printed Owner's Manual and CD with Owner's Manual. See QST July 2011 for a review of this radio. APRS is a registered trademark of Mr. Bob Bruninga WB4APR.